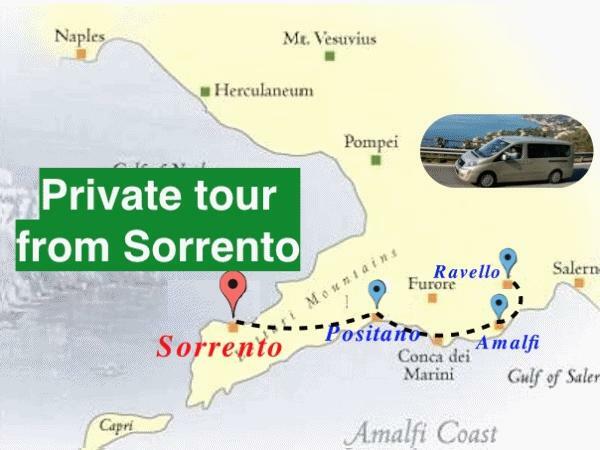 Traveler Review for Private Tour in Sorrento, Campania, Italy by Tour Guide Angelo S.
Angelo drove us on a tour of the Amalfi Coast. He was a very safe and professional driver. He was a very informative guide and explained everything that we were seeing. He asked us what we would like to do for lunch and then based on our preferences, took us to a great family-run restaurant away from the tourist crowds. During our walking tours of Positano, Amalfi and Revello, we never felt rushed to get back to the car. We had a great day with Angelo and can highly recommend him.